The country’s first tannery unit was set up in Narayanganj District in the 1940s, namely the ‘Dhaka tannery’. It was later shifted to Hazaribagh (a densely populated residential area of Dhaka) around 1950. 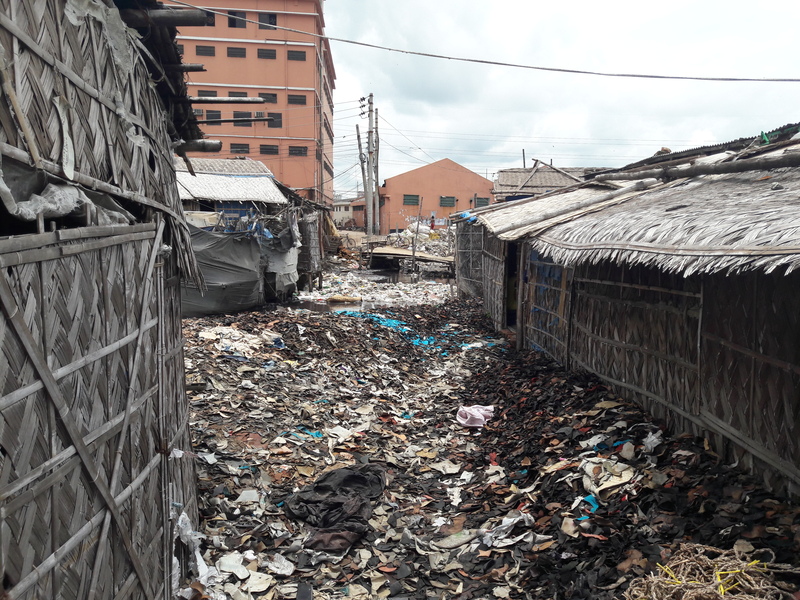 Tanneries in Bangladesh are largely export oriented and has been ranked as the 5th most polluting industry of the world by the Blacksmith Institute’s report in 2010. There are about 185 tannery industries are operating in Hazaribagh. Every day, the tanneries collectively dump 22,000 cubic litre of toxic wastes including cancer causing hexavalent chromium into Buriganga. This industrial cluster is affecting 160,000 inhabitants, 12000 workers and has virtually killed the Buriganga (which could be a source of potable water for the 1.6 crore city dwellers) through its extremely hazardous operation. Due to the death of the Buriganga River, water supply in Dhaka has become totally dependent on groundwater that again is depleting at an alarming rate. The negotiation for relocation of the tanneries started in 1991. The Supreme Court of Bangladesh in 2001 first directed the tanneries to adopt appropriate pollution fighting devices. Following the court verdict, the government in 2002 declared that the tanneries shall be relocated to Savar, an area 20 kilometer west to Hazaribagh. 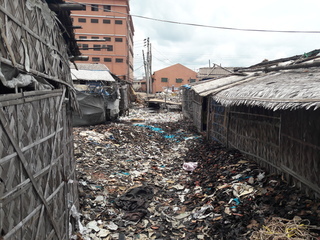 The process of relocation of the tanneries officially started in 2003 when the government, in the Ministry of Industries, undertook the Leather Industrial Park Project and singed a Memorandum of Understanding (MoU) with the 2 (two) tannery associations committing to relocate the tanneries to Savar by 2005. As per the MoU, the government will initially bear the cost of land acquisition and construction of Central Effluent Treatment Plant (CETP), part of which shall later be paid back with interest by the tanners. In 2005, the timeline for relocation of the tanneries was extended till 2010. On, 23rd June, 2009, the Supreme Court gave a second set of directions requiring the government to ensure relocation of all tanneries from Hazaribagh to Savar by 28 February, 2010 failing which shutting down of the tanneries was ordered. The Court further directed construction of CETP, Chromium Recovery Plant, sanitary landfill, and other appropriate pollution fighting devices to be fully operational when the tanneries are relocated. On application from the government, the date for relocated was extended twice and the final date fixed by the Court was December, 2011. Since then, no application for extension of time was filed by the government. Meanwhile, the Ministry of Industry, acquired 200 acres of land and through the Bangladesh Small and Cottage Industries Corporation (BSCIC) allocated 155 plots to the tannery owners of Hazaribagh. However, relocation didn’t start till 2016 and the project was amended 3 times. Finally, the Chinese company JLEPCL-DCL has been given the responsibility for construction of the CETP. As the government extended time till June, 2016 for completing construction of the CETP and only 36 tanneries have shifted to Savar, the Court on 18 July, 2016 directed each tannery operating in Hazaribagh to deposit take 10 thousand per day as penalty. On 16 October, 2016, the Ministry of Industry unilaterally set December, 2016 as the last date for relocation failing which disconnection of utilities was threatened. Once again, the government has changed the deadline for relocation till 31 March, 2017 without any order from the Court. Project Details With an aim to introduce an environment-friendly leather processing industrial zone and to attract the foreign investment the Tannery Industrial Estate Dhaka (TIED) has started its construction after a long dilemma among Government of Bangladesh and Tanners in 2014 at Savar upzilla of Dhaka division. The proposed TIED consist of 200 acres of land of which 17 acres for Common Effluent Treatment Plant (CETP). In 2003 a development project plan (DPP) for constructing TIED at the bank of Dhaleshwari river was proposed considering a total number of 205 industrial plots along with other infrastructural development like roads, drainage system, water distribution lines etc. In June 2016, revised DPP of a total amount of 10,787,100,000 BDT (USD 135,000,000) has finally proposed. The integrated ongoing project of TIED includes all sort of environmental protection devices like Common Effluent Treatment Plant (CETP), Dump Yard, Sewage Treatment Plant (STP), Sludge Power Generation System (SPGS), Chromium Recovery Unit (CRU) and Solid Waste Management System (SWMS). China-based Jiangsu Lingzhi Environmental Protection Co Ltd is the principal construction company for CETP construction and Bangladesh University of Engineering and Technology (BUET) is the technical consultant for the overall construction process of the CETP and other pollution control devices. Why? Explain briefly. 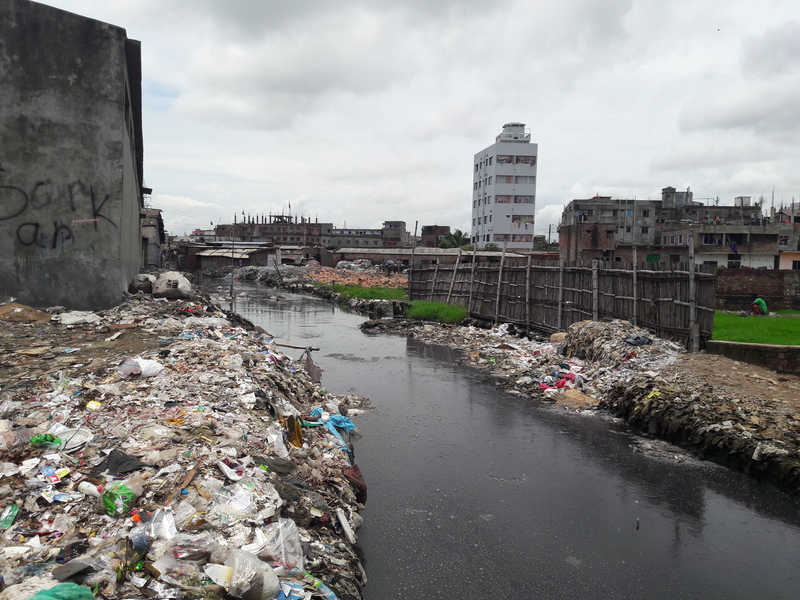 While there has been significant delay in relocation (despite court orders), it now transpires that the Savar Industrial Estate is not fully prepared to deal with the wastes. This is leading to grievances from the dwellers of Savar who are faced with pollution from tanneries just like the residents of Hazaribagh. Also, there is uncertainty regarding timeframe for full relocation from Hazaribagh to Savar (which may render the CETP non-functional) and completion of waste management facilities in Savar. Dhaleshwari faces risk of salinity. A huge quantity of dissolved salt will be discharged into the Dhaleshwari river from the Savar Tannery Industrial Estate as the central effluent treatment plant (CETP) there doesn't have the component needed for desalinising wastewater.